A new and exciting initiative to recruit Justices directly to the Family Court has just started. The Family Court deals with an interesting variety of cases relating to children, child protection, family breakdown and related issues. This is an opportunity for you to help make the lives of children better. 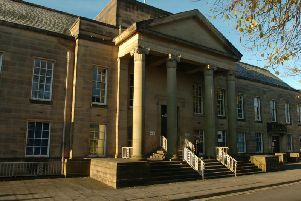 The aim is to recruit 35-65 new Family Court Justices across Cumbria and Lancashire. Many Justices sit at more than one location and maximum flexibility is encouraged. You do not need any legal or social work qualifications or experience, although these would be welcome. The service also encourage and welcome diversity from all sections of the community. Family Justices are advised by the Family Court Legal Advisor, the Children and Family Court Advisory Service (CAFCASS) and the child’s Guardian during cases. Therefore a detailed knowledge of the law is not necessary, just the ability to apply common sense and compassion to the cases put before you. There will be some reading of documents prior to the cases but the paperwork is vital and not excessive. Justices are not paid but you will be able to claim expenses, including any loss of earnings. The minimum sitting requirement for all magistrates is 13 full days per year plus mandatory training, which is a minimum of seven full days in the first year. The average number of sittings is higher for those able to make that commitment. Justices must commit to serve for at least five years from appointment and normally retire from the Family Court at age 70. If appointed, you would sit only as a Magistrate in the Family Court. Some Magistrates also sit in the Criminal Courts but you would not be required to do this. More information and application forms are available at www.gov.uk/become-magistrate. The closing date for applications is April 30th. Those appointed would begin sitting in April 2020.